3 Build-a-lot classics together in one bundle! For the first time ever, get 3 classics from the beloved Build-a-lot series of games together in one fun package! This bundle includes the following games. 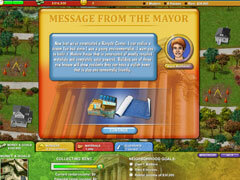 Build-a-lot 2: Town of the Year - Use your keen eye to pick the right locations to build parks and shops. Further increase curb appeal by painting and landscaping your houses! Build-a-lot 3: Passport To Europe - Travel all over Europe as you restore rundown houses, develop friendly services and beautify neighborhoods. 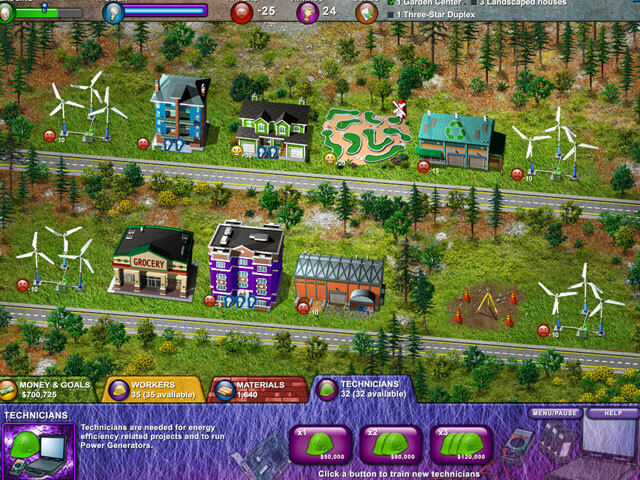 Build-a-lot 4: Power Source - Help friendly towns glow by generating clean energy in Build a Lot 4 Power Source! Build solar towers and wind farms to make sure everyone is energy efficient.